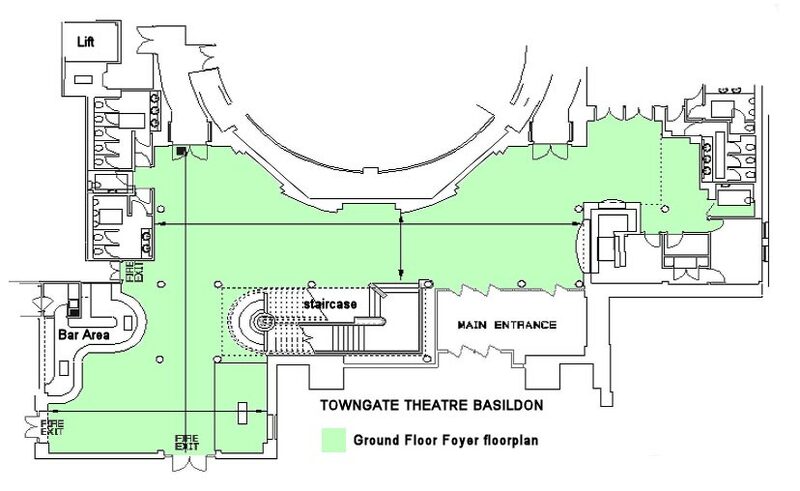 The Towngate Theatre has two rooms available for meetings, presentations, workshops etc., or as reception areas for larger events taking place in elsewhere in the theatre. Download our Venue Hire Brochure and Prices [5Mb] for details. Phone 01268 205 288 or 01268 205 300 to discuss availability and requirements. The Olivier Room can be partitioned into 3 separate rooms or opened up into a single large room. Hirers can choose to have just one, two or all three areas. Suitable for: Presentations, Meetings, Workshops and private celebrations (birthdays, wedding receptions etc.). Suitable for: Presentations, Meetings, Workshops. Our well stocked Café bar and experienced event catering team can provide a full range of excellent, freshly prepared food: full dinners, buffets, hot meals, cakes and patisserie to suit your requirements (see the example menus). Or send us an email (we will reply by email, or by phone if you leave your number).